OPINION – This whole issue of renaming Dixie State University must, once and forever, be resolved. A recent opinion piece published in another media outlet and written by DSU professor Danielle Larsen-Rife that has gained statewide attention has reopened the debate and, in light of the horrific killings in Charleston, S.C. and subsequent removal of the Confederate flag from the South Carolina Statehouse, must be addressed. I understand the great pride people have in their heritage. I understand that nobody likes to look back upon their families as having, perhaps, participated in something as abhorrent as slavery. It’s a matter of love and respect for your own personal roots, no matter how much the family has evolved socially, culturally, morally. But, the bottom line is that this whole Dixie thing puts Southern Utah in a bad light. There are less than 200 African-American students enrolled at DSU. The state of Utah has an African-American population of a mere 1.27 percent, ranking it 43rd in the nation. There are reasons for those numbers, cultural reasons, sociological reasons, embarrassing reasons. Have the people of the state grown? Evolved? Of course. At least to a certain extent. Is racism still a part of the Utah makeup? Again, of course. It is an undeniable piece of the American fabric whose seams remain frayed despite our best efforts. That’s why it is time to settle this thing once and for all and decide on a name that does not offend. Because we’re all supposed to be on equal footing, we’re supposed to respect the thoughts and feelings of others, we’re expected to display a certain humanity that embraces us regardless of the color of our skin, our religious or political beliefs, our lives that may vary from neighborhood to neighborhood, from door to door. Most importantly, it should be our responsibility to honor only that which is honorable and despite the twisting and intertwining of the words “Dixie,” “Pride,” “Heritage,” there was little honor in owning slaves. I don’t want to imply that the sins or our fathers should be bestowed upon us. That would be ridiculously unfair. We cannot, in any way, be held accountable for what happened nearly two centuries ago. Besides, the poor dirt farmers who worked their small family farms were not the ones to perpetrate this inhumanity. It was the rich plantation owners, for the most part, who were the predators. Less than 25 percent Southerners owned slaves. Life was not akin to the “Gone With The Wind” fantasy. It was harsh. The men were whipped, the women were often raped. Families lived in constant fear of separation as slaves were sold or traded. Because of health and sanitary conditions, childhood mortality was high. Is that something we should look upon with pride? Slavery was legal in the Utah Territory. Southern Utah was settled by a number of relocated Southerners who brought their handful of slaves with them and were sent here to establish Utah’s Dixie as a place to grow cotton and tobacco. The effort, of course, failed, but the settlers remained and clung to the Dixie moniker. There were good and decent people in the Old South. They had little wealth, but lived lives of honor and respect. They did not participate in slavery, many, in fact, did not believe in it. They fought, however a Civil War in defense of their homes, their families. That is a kind of legacy and heritage I can respect and understand, but must it carry forth and be burdened by the Dixie nametag? The spirit of humanity, kindness, loyalty, comfort should perpetuate itself. It should be carried in the hearts of those who dispense it. It really needs no flag, no symbol, no name to be carried forth, especially ones that are hurtful to a group of people who still suffer the injustice of racism. If you don’t understand that racism still exists, then I suggest you take a quick look through social media and see the attitudes being expressed these days. Look, I get it. Not everybody who wants to hold on to the Dixie name is a racist. I understand. But, how do we distinguish them from the others? How do we convince the parents of a young African-American student interested in attending school here that their son or daughter will be in a safe, welcoming environment? How will we keep the dialog going on campus, where diversity is supposed to fuel discussion and offer a variety of opinions and perspectives? We can’t ensure that diversity if students won’t take a second look at the school because the name frightens them. The minstrel shows that were once a part of the Dixie College school year are gone. So is the statue of the Rebel soldier, and the Rebel mascot. It’s time, now, to do away with the name. We can surely come up with something better, can’t we? Should Dixie State be renamed? Of course. But not because, some whako shot some people in a church, or not because there are only a handful of black students, um this is Utah, not Alabama. It should be renamed because Dixie State just plain sounds stupid. The nickname Rebels on the other hand, should be brought back to life. hmmm. The Catholic name of St. George doesn’t seem to keep the Mormons from living here. Seems like you might be overreaching a bit here. St. George is not a Catholic name, although it may sound like one. It was named after LDS leader George A. Smith, who was considered a true saint (in the sense of a Latter-day Saint, not a Catholic saint). We could call it the “Something hyphen something hyphen something” because that’s how we got into this quandary in the first place. The something hyphen somethings are the new thought police and want to take over the world. Might as well name a university after them. The new mascot could be a Big Hyphen with a perpetual frown or grimace face because the hyphen is never happy or satisfied with anything and must change the world to satisfy their needs. That’s funny right there, I don’t care who you are. Ed, the time for deciding upon the university’s name once and for all took place a couple of years ago. It has been decided. The only reason you are bringing it up once again is because you don’t like the decision. This is not about the name of a university. This is about the name of many institutions. 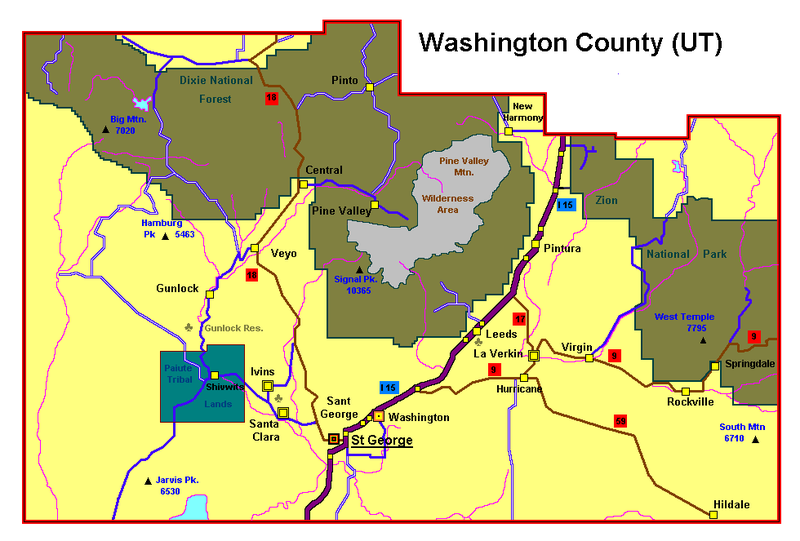 The nickname of a very special region in Washington County was bestowed by the original pioneers in the 19th Century, and many things have been named with the name of the region where they are found. It’s just a ridiculous idea to propose that everything named Dixie be renamed. Try searching for that name in a list of businesses nationwide. It’s everywhere. And besides, the Dixie of the South that provided this moniker for our area is a wonderful region full of some wonderful character. You can’t assume that Dixie is all about the sad legacy of slavery in our country. Dixie is much more than that. So do something real that will condemn slavery and racism and encourage our society to show love and appreciation to everybody. Changing names of things will not do that. Dixie state university – what a nice simple name. It sounds just right! Don’t assume people are ashamed of their ancestors or their history. I am a different person than my ancestors were and I live in a different time period but I am not ashamed of them and I am not going to go around apologizing for them. You still insist on labeling people according to your own narrow thinking. I thought we were supposed to stop labeling people. I thought that was wrong according to your modern thinking. Why don’t you walk your own talk and leave other people alone unless they are doing you some personal harm? Don’t you have some dinosaur tracks or something you need to save from extinction? Utah’s Dixie is only composed of those parts of Washington County below the Black Ridge, the Hurricane Cliffs, and the Diamond Valley Volcano. And by the way, there is something that should be renamed. Dixie National Forest is not located in Utah’s Dixie! Ed, Where will it stop? Is my Mom going to have to change her name from Dixie too to be registered to vote? We have the Communist commando “Red Storm” mascot too. Are we going to stop selling Japanese cars because they bombed Pearl Harbor? Oh wow, What about my high school? Political correctness is getting way too sensitive. Who is actually offended that the word Dixie is being used? IZZY, I agree with you that political correctness is getting ridiculous, BUT the problem with the situation here in southern Utah is the fact that the Mormon settlers really did have slaves, cotton plantations, and knowingly nicknamed this area Dixie with that in mind – the context was with a slavery their prophet Brigham Young claimed was “ordained of God”–please see my comments below for links and background on other points tying early Mormonism with racism, slavery, and morality that would shock modern Utahans- not to mention most Mormons who try to deny it at best and justify it at worst. Either way, I expect God to be consistent. Were their scriptures and prophets/leaders right and inspired by God then or are their modern leaders? They can’t be both. If so, Mormonism ‘s God is a social chameleon! Mormons today try to downplay how the LDS Church sadly institutionalized racism for almost 100 years beginning under Brigham Young’s leadership until 1978 (read his teachings in the Journal of Discourses! And apostles sermons up to the 1950s – Yikes! ), BUT the church really does need to do some explaining and major apologizing to blacks in and out of the Church! In other words, there are some unfortunate racist doctrines in the LDS history and scriptures (according to the Book of Mormon “dark” skin is the curse for wickedness and their other scripture The Pearl of Great Price, the ancient murderer Cain – the one who killed his brother Able – as cursed with black skin and Brigham Young took it from there, teaching that a death penalty should be given for any who marry/have children with “negroes”. Etc. etc. Sad stuff there for modern Mormons to try to explain or even get around. Good luck. Using the same yardstick you can’t be a Christian (or Muslim, or about any other religion), an American, a scientist, a human, a male, a female, a white, a black, or about anything else. Feel free to list off all the things you consider yourself (be honest and thorough) and we’ll measure you using the same measuring stick you’re using. BRIAN, sorry, you’re just plain wrong on that point. I usually agree with you on a lot of your points, but you’re doing some illogical reasoning and comparing apples to oranges. Radioviking the dark skinned part of me, the part that comes from south of the border and gave me my family name is not bothered by those things in the LDS scriptures. I said before I am not ashamed of my history or of my ancestors- the whole mixed up bunch of them and nobody is going to make me feel ashamed. I don’t put up with rudeness or disrespect from others towards me because of who I am. I fix the problem myself. I don’t go around taking offense with everyone and everything around me. I told Ed that it was not OK with me to insult my southern ancestors and believe me I don’t take insults towards my dark skinned side well either but I don’t visit the actions of some small people on everyone else around me. I have other really serious things to worry about. If I and my friends ( we speak that other language together ) don’t have a problem with the LDS scriptures why do you? So you’re ok with racism in your church? Wow. Yes I do have a HUGE problem with that. I do not believe that God “ordained slavery” as Brigham Young professed. So you believe that’s from God? Really? You’re doing some crazy mental gymnastics to not be bothered by that. Sorry, can’t help you on that problem. Good luck. Are we going to rename German Apple Pancakes and German Shepherds because hitler was an evil idiot? How about Chinese checkers? What are we going to call that, in light of the fact that Mao killed 30 million people? The words “Dixie” and “Rebel” shouldn’t be banished just because slavery happened in the south. Speaking of which, are we going to have to adjust every compass to remove the word “south”, as well? It’s totally offensive, you know. Political correctness is bull crap. Teaching our kids to be hypersensitive and easily offended does them a horrible disservice. I agree with Brian that our political correctness has gone too far. We have lost our courtesy towards polite discourse. We must “dummy down” to the lowest common denominator. We are robbing ourselves and our future of polite society. We can’t possibly rename everything so as not to offend. How about renaming the White House? We could call it Ed state university except back in 1977 there was a serial killer named Ed Edwards. Okay. I’m confused. In the article written a few years ago regarding the name change, Ed said there was no slavery in Utah & the pioneers did not lead a plantation lifestyle (the article is still available on St. George News if anyone wants to read it: http://www.stgeorgeutah.com/news/archive/2012/12/13/on-the-edge-be-a-real-rebel-accept-dixie-name-change/#.VaVKSlJOLCQ). But in this article, he states that there WAS slavery in southern Utah. So, which is it, Ed? Has history changed since 2012? Utah history states that Utah was let into the union as a slave state. However the prominent leaders at the time were very strongly advocating good treatment. However, the majority of people were not slave owners, and most slave owners released their slaves before even reaching Utah. Mea culpa. True. My information at the time came from talking to locals. I have since researched it through other archives and found the previous claim untrue. I had faulty research/resources. Did the research change or did the point you were trying to defend change? With this and many of your opines they eb and flow depending on the mood of the culture with which you associate yourself. I don’t move or associate myself from culture to culture. I am me and as such, I change, grow, open up a little and, sometimes, close up a little. The research changed. The original answers were faulty and dogmatic-driven rather than factual, as well as uninformed. I think it is good for opinions to ebb and flow. It shows growth, a natural curiosity, if you will, rather than blinders that limit your thought process or perspective. If we don’t hange, we stagnate. Ed, don’t bite MRSMITH’s bait of BS. the point is the local culture has some humble pie to eat and you served it! Good work, man. Keep up the good work. ? Ed, everyone who reads St.George news knows that you are paid to put out opinions that lean to the far left, middle column folks, etc. You do a good job at it also. I agree with you 35% of the time. But really Ed, GIVE IT A BREAK! Your reasoning for attacking a name is a joke. We’ve,as a neighborhood already hashed this subject out. The reasons to keep the name Dixie was decided 2 years ago. But you might say but but,It’s a Utah state college now. Junk reasoning Ed. Someone else brought up the Dixie National Forrest name, WHAT’S WITH THAT? Is Al Sharpton going to lead a protest march up in BrainHead in behave for Demands for Equality to maybe change that name to say, Rainbow Colors National. Forrest? No, Utah has Rainbow Bridge. You okay with that? In my mind, the term Dixie refers to a region of the country. It does not specifically refer to slavery. If southern Utah wants to call themselves “Utah’s Dixie,” I don’t have a problem with that. I don’t see that as insensitive. I see it as an ode to the best things the southern states have to offer. What do you think of when you think of the south? I’m not thinking of slavery because it no longer exists. I think hospitality, charm, religious pride , good food, multicultural, and warm weather. If we start down this path to washing away anything that might make a person think of slavery , we’re in trouble here in Washington County. Tons of businesses will have to change their names, Washington City will need to rename Cotton Days, and streets will need to be renamed. We could probably debate for the next ten years about whether or not a name change is needed. This area was named Dixie for its ability to grow crops like they grew in the southeastern US. Not because it was all about using slaves. I agree with many of the above about the issue with political correctness(PC). However, it also brings to mind the image we present to people outside of the state, who don’t necessarily know or understand the history of Utah, and St. George as a whole. The university is a business, and as such aught to do the best they can to bring in more students so that it can grow, while at the same time helping grow the economy of the surrounding area. I struggle with the idea of the idea being published and pushed based off of media reporting, rather than people actually coming to the university itself and making such claims. There are definitely points to both sides, and I’m sure more people will comment adding their points of view. But lets not walk into something hastily just to be PC, but rather lets hear some decent names that would be suggestions to change it to. I don’t know a student that was very happy with becoming the “Red Storm” as the “bullnado” mascot isn’t something a lot of students would really want to get behind. That being said, the name change would have to be something we could chant at games to cheer our teams on. It would have to be something that would be easily branded, and the university itself might be a little annoyed at having to change the branding yet again. Anyways, I’m done throwing my two cents in. Speaking of name changes, how long before the good but bigoted people of Utah ask that the Rainbow Bridge be re-named because it sounds too gay. Wonder Bread U. White, bland, tasteless and without substance. Ed, I take offense to you calling for the name change again. 2 1/2 years ago this was hashed out, you were against keeping the name Dixie then as you are now. Back then you stated that this area did not have slaves and now you say it does, which is it Ed? This article feels like another chance for you to get what you want despite 70-80% of the people wanting to keep the name 2 years ago. It offends me that after long consideration 2 years ago some people will never let it go. I’m offended by this “PC” barrage from people that seem to get their way just because they yell the loudest and are yet the minority. And I’m really offended by people who change the facts just to get their own way. Ed, you changed the facts over the past 2 years. Maybe you should re-read what you’ve written before instead of contradicting yourself. Good bye Ed, I’ll never believe another word you write again. I taught at Dixie and sent my kids to Dixie for an associate. But for a bachelor’s degree they needed to go to a school with a name that has even some punch on a resume. If they was studying banjo plucking, or cousins marrying cousins, well then they would need to look no farther. I think the name Dixie is awkward and misplaced. What’s so great about the name anyways, and what is so traumatic about changing it?